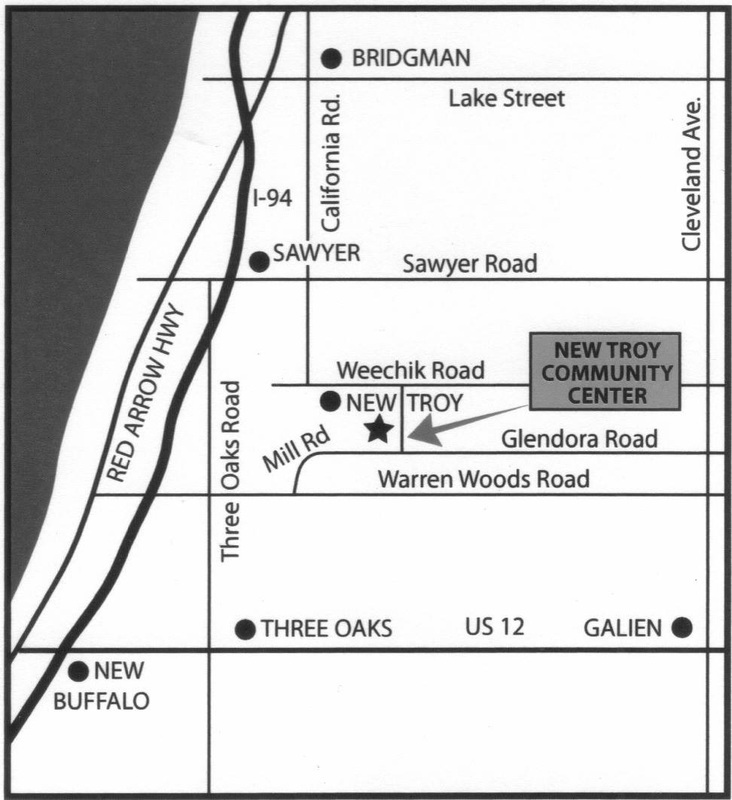 The New Troy Community Center is run by the community, for the community, and is supported entirely through memberships, donations, fundraisers, and rentals. It receives no government funding. Stop in and you might join a pickleball game, take a yoga class, bring your pre-schooler to Story Hour, buy or borrow a book, search for treasures at a flea market, or visit an artist’s studio. Our grounds provide a popular sledding hill, playground, demonstration rain garden, nature trail and outdoor classroom. Wedding vows are exchanged in our gazebo. Milestone events are celebrated in our Community Room. How did all this come to be? In 2005 a group of residents took a giant leap of faith and organized a fundraiser. 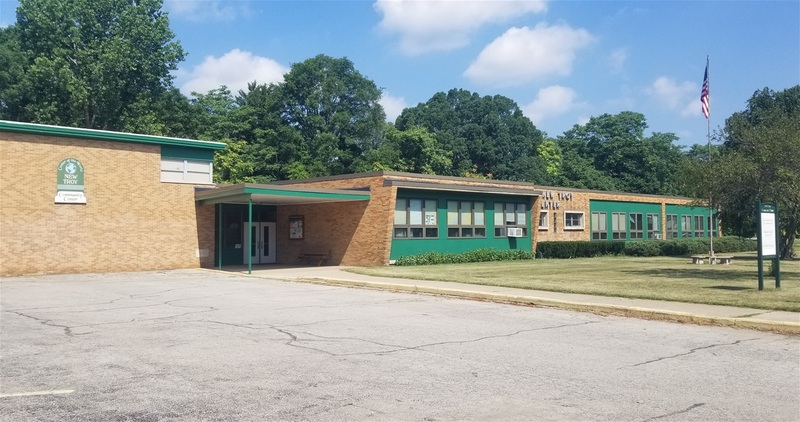 The goal was to buy the property formerly occupied by the New Troy School. The town’s sense of community had been lost when the school closed and we wanted it back. The support has been awesome. Our membership swelled as more and more people committed to the vision and worked to make it happen. We’ve held many fundraisers and will hold many more. We’re proud to say, in 2018 we paid off the mortgage. Fundraising will go on, because improvements still need to be made, programs and classes still need to be developed, and the building and property still need to be maintained. Today, the center is alive with activity. Neighbors are meeting neighbors. Old friendships are being renewed and new friendships are being formed. If you haven’t joined us yet, come see what you’ve been missing.